What better way to greet the cold and snow than with delicious, warm food? But even better than that- food you can meet super quick by just throwing some ingredients in your instant pot! Instant Pots for Quick n’ Easy Meals! Late to the game on instant pots? This holy grail appliance is a small investment that will change the way you cook. 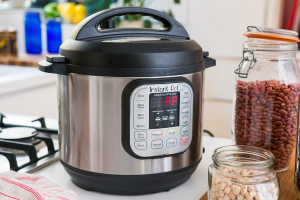 Very similar to slow cookers, Instant Pot are multi-use, programmable pressure cookers that will speed up your cooking game. Make meals in under an hour, or in as little time as five minutes using the high pressure setting! There are hundreds of recipes that are a breeze to make using your instant pot, from stews to pulled pork and even desserts. We’ve collected a few hearty recipes we think will warm you up this winter, so bundle up and enjoy! Who doesn’t want a bowlful of chili to warm up on a cold winter night? 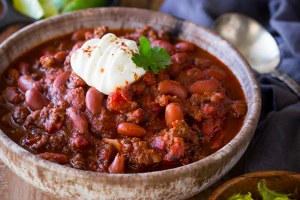 This delicious classic chili is super easy and can be made in under an hour! This recipe is hearty, flavorful, and even gluten free! 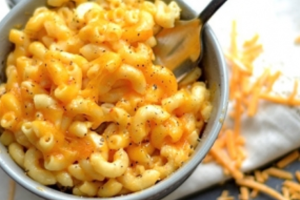 Who needs boxed mac when you can make your own almost as quick and twice as delicious in your instant pot? Cook these simple ingredients at high pressure to get a perfect and warm meal on a cold evening. As if using your hot pot wasn’t easy enough, this delicious recipe is only 5 ingredients! 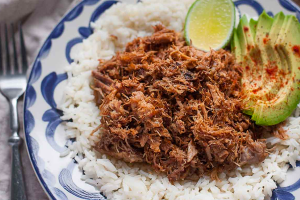 These carnitas come out extremely juicy and tender, and are delicious over rice, in wraps, or even plain if you just can’t wait to eat them! Don’t lie- we know you saved room for dessert! 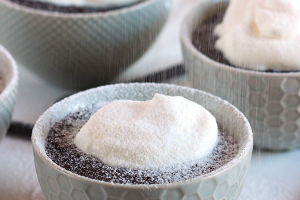 This chocolate cake may be easy to make, but it’s taste is amazing, and the warm gooey dulce de leche center will warm you up from head to toe!